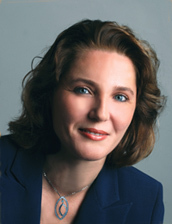 Dr. Jasenka Rakas is the deputy director of the UC Berkeley National Center of Excellence for Aviation Operations Research (NEXTOR) and its lead aviation researcher. She is the director of the Airport Systems Planning and Design Short Course and faculty in the Civil and Environmental Engineering Department. Dr. Rakas is a founder of the UC Berkeley Advanced Aviation Educational Program, the Airport Design Studio and the National Airspace System Infrastructure Conference.